The 14th Academy Awards may be most infamous, in retrospect, as the year in which Citizen Kane (consistently regarded as one of the greatest films ever made) did not win Best Picture. Rather, Best Picture was awarded to How Green Was My Valley, the story of Welsh coalminers in changing times. In addition, John Ford won his third Academy Award for Best Director (also for How Green Was My Valley). 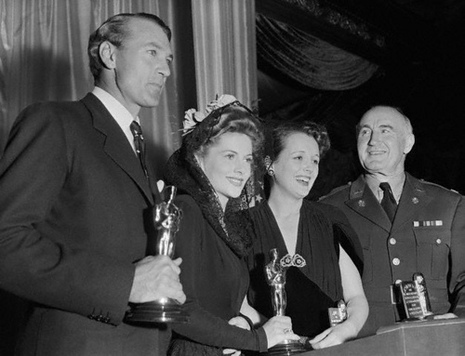 Most public attention was focused on the Best Actress race between sibling rivals Joan Fontaine in Alfred Hitchcock’s Suspicion and Olivia de Havilland for Hold Back the Dawn. Fontaine’s victory was the only time an actor won for a performance in an Alfred Hitchcock film. This was also the first year in which documentaries were included. The first Oscar for a documentary was awarded to Churchill's Island. 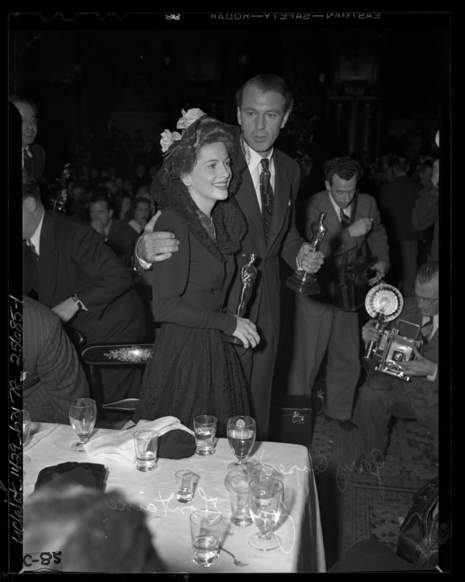 The fourteenth Academy Awards ceremony was held on Thursday, February 26, 1942 at the Biltmore Bowl of the Biltmore Hotel. Tragedy had struck the United States as it was plunged into war after the December 7, 1941 bombing of Pearl Harbor. Tragedy also struck the motion picture society when Carole Lombard was killed on January 16, 1942 in a plane crash right after selling bonds for the war effort. The Academy considered cancelling the Awards ceremony but decided instead to tone down the affair. Black ties and formal dress were not allowed and instead of a banquet the ceremony was to be called a "dinner." There was no official host.